15 February, Austin (Texas, USA). ADAS&ME project coordinator Anna Anund attended AAAS Meetings in Austin presenting ADAS&ME. The presentation is now available at Sharepoint and it highlights the vision of the project, uses cases and some of the most important aspects of the project such as Driver/Rider state monitoring and HMI framework. 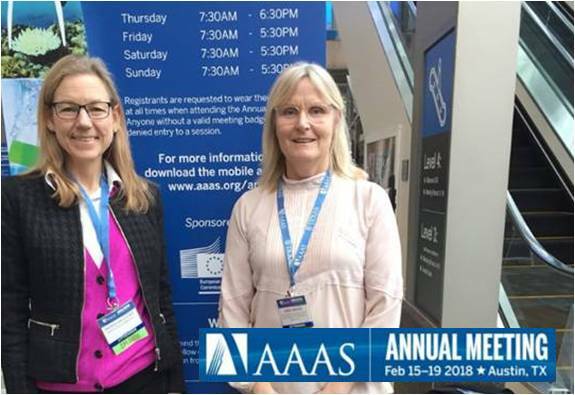 The AAAS Annual Meeting offers many different kinds of opportunities to engage in productive and important conversations about diversity and inclusion in science and ADAS&ME project was presented in the session about “Destination Europe – Horizon 2020 Research & Innovation opportunities”.